Eric Charnofsky teaches Keyboard Ensemble, various music-related seminars, and coordinates the accompanying program at Case Western Reserve University, where he has twice been nominated for the Carl F. Wittke Award for Excellence in Undergraduate Teaching. 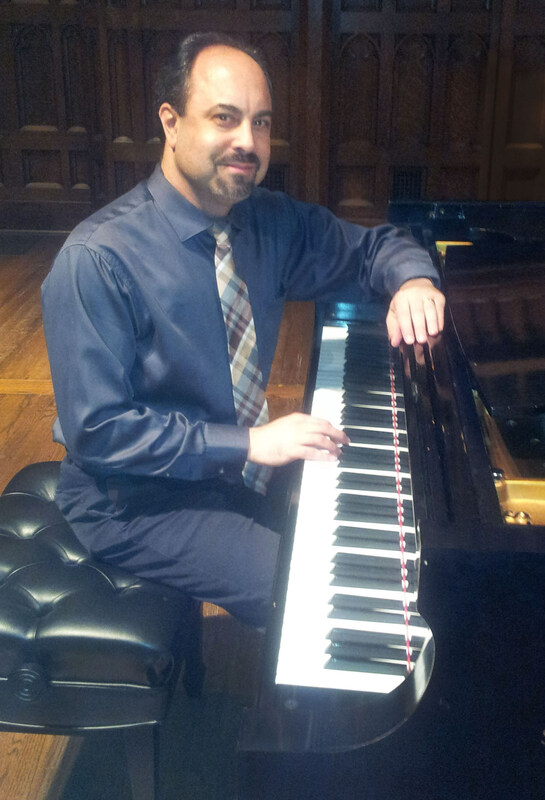 Mr. Charnofsky has performed as a collaborative pianist throughout the United States. He has concertized with members of the New York Philharmonic, the Metropolitan Opera Orchestra, the Philadelphia Orchestra, the Los Angeles Philharmonic, the Pittsburgh Symphony, the Chicago Symphony Orchestra, and The Cleveland Orchestra. A graduate of The Juilliard School where he majored in piano accompanying, Mr. Charnofsky also holds degrees in solo piano performance and composition from California State University, Northridge, where he received the Outstanding Bachelors Degree Graduate award. Formerly on the faculty in the pre-college division at The Juilliard School, he served as staff accompanist and ear-training fellow in the Juilliard College division. Programmer and host of “Not Your Grandmother’s Classical Music,” a weekly radio program on the campus station WRUW-FM, Mr. Charnofsky’s performances have been broadcast over several radio stations in New York, Chicago, Cleveland, and Los Angeles, where he also worked as a classical radio announcer. He has appeared as featured guest artist on WCLV’s programs “The Dennis Lewin Radio Program” and “Offbeat.” In addition, he worked for several years as a choral conductor, appearing with choirs live on radio. Mr. Charnofsky has presented several lecture-recitals on “The Duos with Piano” by the composers Paul Hindemith, Francis Poulenc, Samuel Barber, and Aaron Copland. He worked at the Music Academy of the West in Santa Barbara as an Associate Faculty member for eight summers, performed several times as a substitute orchestral keyboardist with the Los Angeles Philharmonic and the Cleveland Orchestra, worked as a rehearsal pianist for Lyric Opera Cleveland, served as convention accompanist for the National Flute Association, and he appears on recordings with flutist George Pope on the Crystal label, trombonist JoDee Davis on the Albany label, and music by the Cleveland Composers Guild on the Capstone label. His compositions have been performed on numerous concerts throughout Ohio, California and elsewhere, and have been broadcast over several radio stations.